When the Ramen Butcher had their grand opening special week ($5/bowl! ), I tried to go but the line up was waaay too long, we are talking about at least 30 people or more… totally not worth lining up so we just went the week after! This was the Red Ramen which is their spicy ramen. 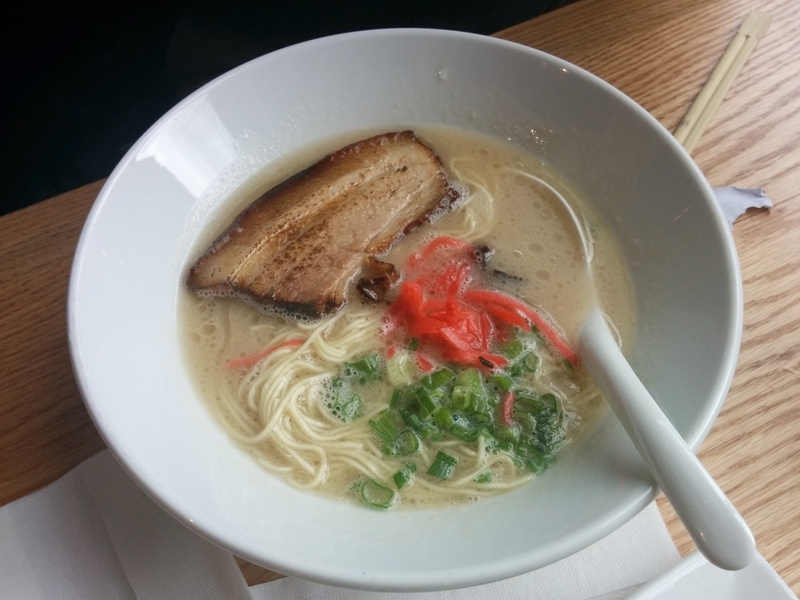 The broth was not overly thick and rich but still creamy. It actually wasn’t very spicy to me though. I wish it came with another piece of chashu! The chashu was a good balance between fatty and lean. The weirdest thing was the noodles because they were really thin and more like soba noodles so I wasn’t used to it. The portions aren’t too big but they do give you complimentary noodles after you are finished if you still want more! This was the Orange Ramen which came with miso marinated ground pork and also a piece of chashu. It didn’t really taste that much different than my Red ramen though but I only had some of the soup so I can’t really say. 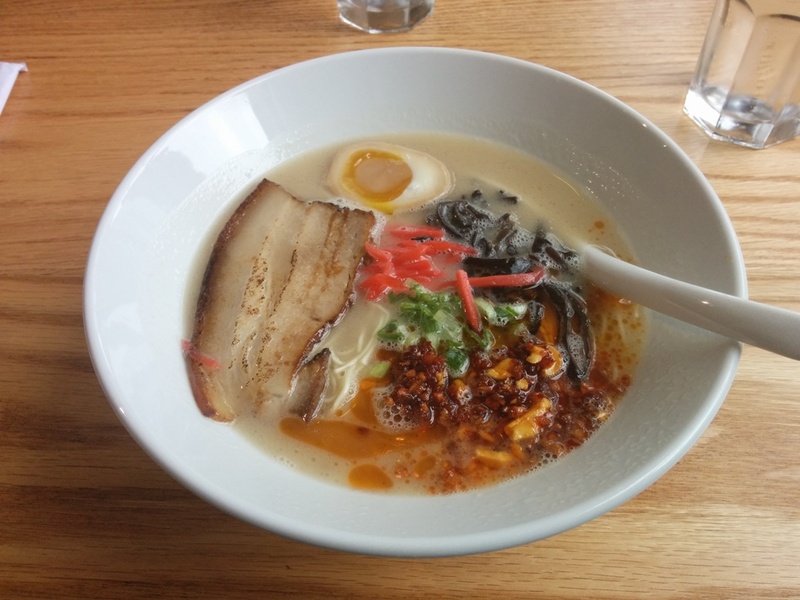 This was the Original Ramen. We also had to order some of their gyozas to share! 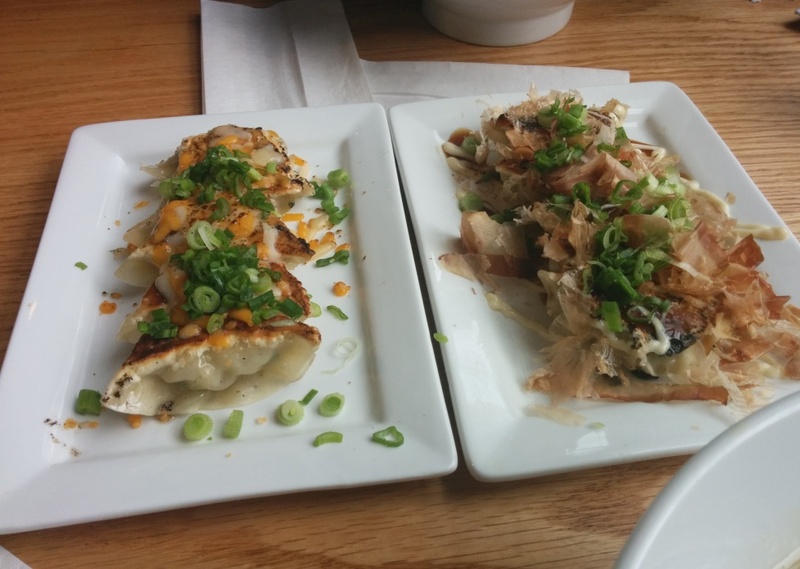 On the left we have the Cheese Gyozas and on the right we have the Okonomi Gyozas covered in bonito flakes. The wrappers were thin and the fillings were juicy and flavourful. The cheese and okonomi toppings were good additions to make it more interesting but they’re not like a must order item to me. I kind of feel like I can add my own toppings or I’m just really cheap. On the other hand, the gyozas were probably more memorable than the ramen? I think the ramen was good but nothing too exciting? It wouldn’t be my favourite ramen joint… I don’t think I have one yet since I haven’t tried them all. 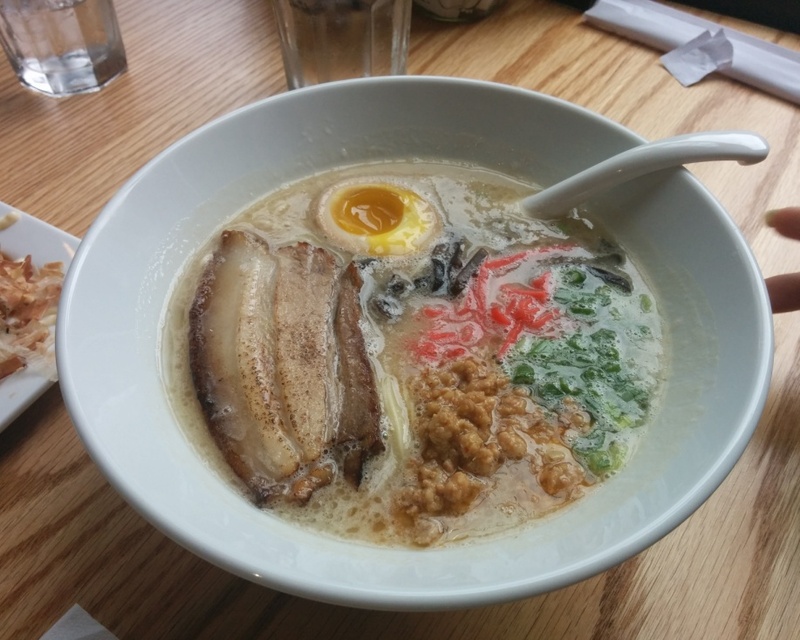 This entry was posted in Food Reviews, Japanese and tagged chashu, gyozas, ramen.